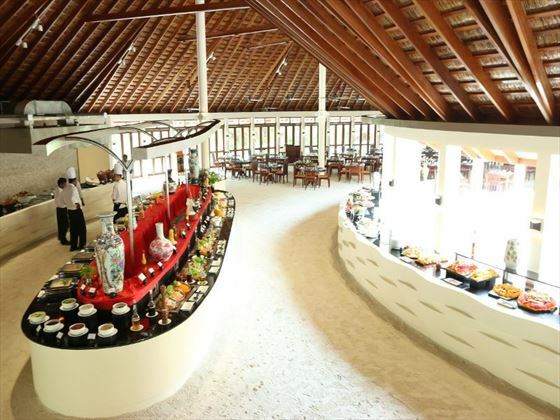 Meeru Island Resort is a stunning resort accessible via speed boat, it is surrounded by picturesque lagoons and pristine beaches, Meeru Island Resort is the only resort found on the island of Meerufenfushi. The atmosphere here is amazingly tranquil and ambient – every effort has been made to create a truly luxurious environment for your stay. But there’s plenty to do here as well – relax in the spas, admire the views from the beach, or work out in the fitness centre. Naturally, the location lends itself well to beach-based activities. 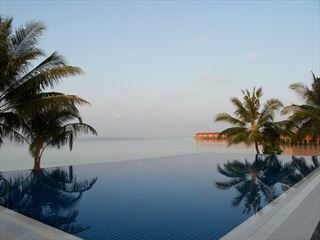 Go snorkelling in the inviting waters or spend time on the beach playing volleyball, or simply soaking up the sunshine. 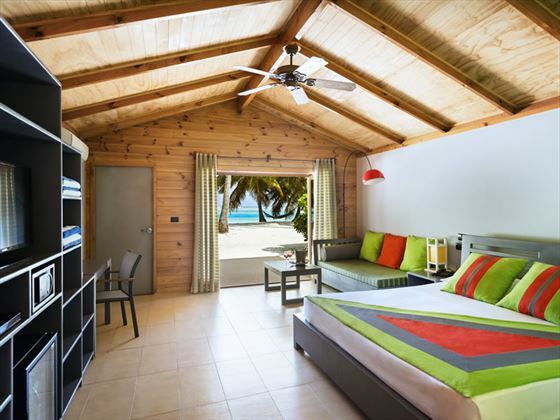 The accommodation is luxurious yet comfortable, but we think the best feature is the view – completely unforgettable. 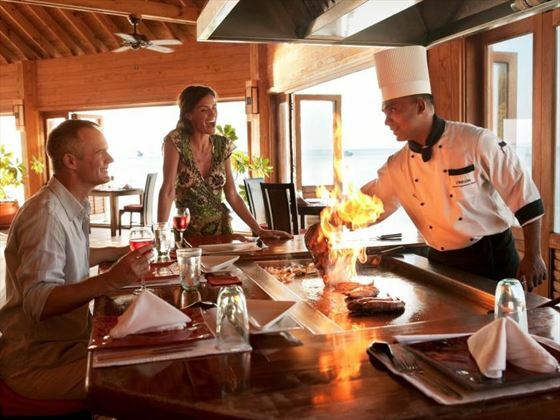 Top tip: Head to the Hot Rocks Restaurant for a unique dining experience, where your meal is cooked on hot volcanic rocks in front of you. 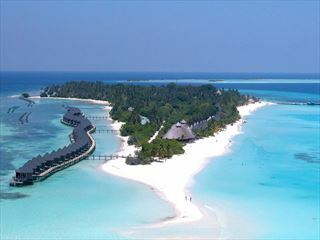 Based on the beautiful island of Meerufenfushi, the resort is found in the north side of the Male Atoll in the Maldives. Jacuzzi Villas – Adults only. 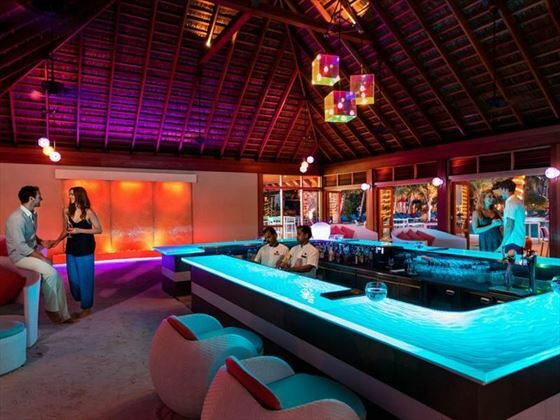 Private, walled outdoor area with a Jacuzzi, as well as a sundeck, shaded pavilion and tropical garden. 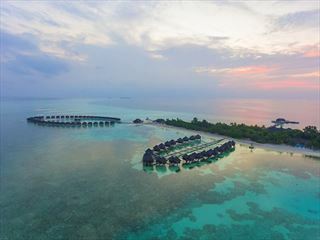 Water Villas – Adults only. Set by the water’s edge with a sundeck, amazing lagoon views and a sitting area. 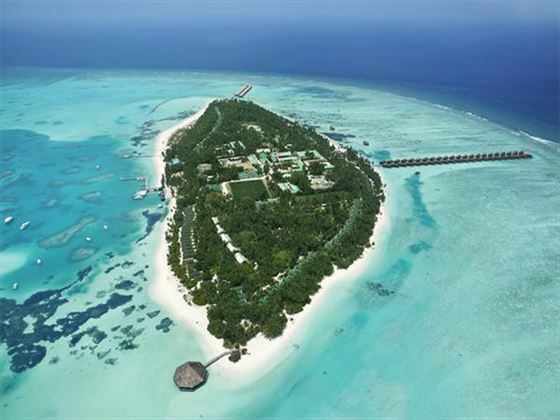 These villas are over water when the tide is in, and on the beach when the tide is out. Jacuzzi Water Villas – Adults only. Set over the water with a short walk to a private jetty, and featuring a seating area, large bathroom, Jacuzzi for two with steps into the sea, and a private sundeck. 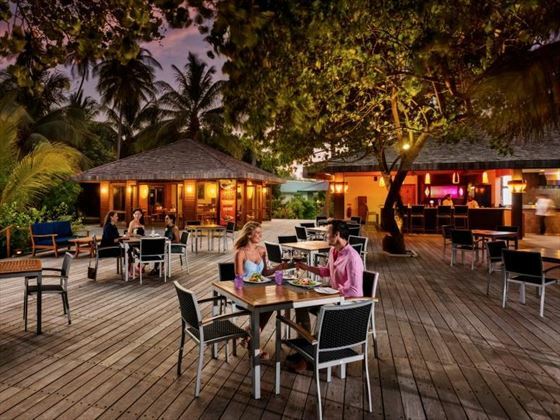 Maalan – Open-air restaurant with an ‘all you can eat’ menu for Adults Only staying in Beach Villas, Jacuzzi Beach Villas, Water Villas & Jacuzzi Water Villas. The island has a great children’s pool and a kid’s playground complete with swings and a slide. All guests can enjoy the booked meal plan until the departure time. You are required to provide a valid Wedding Certificate or copy at time of booking and check-in. Anniversaries celebrated are silver and gold. 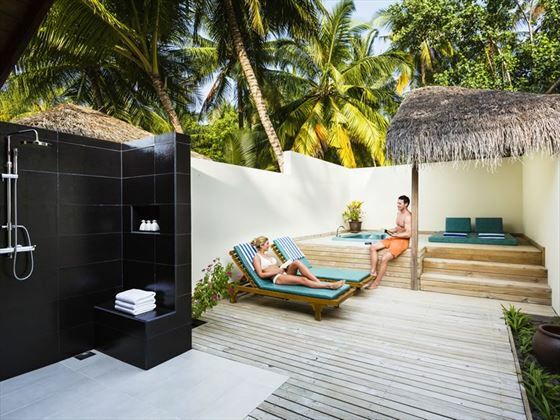 A dream destination for watersports enthusiasts and lovers of beachside relaxation, Olhuveli Beach & Spa Resort enjoys a prime location on its own private island. 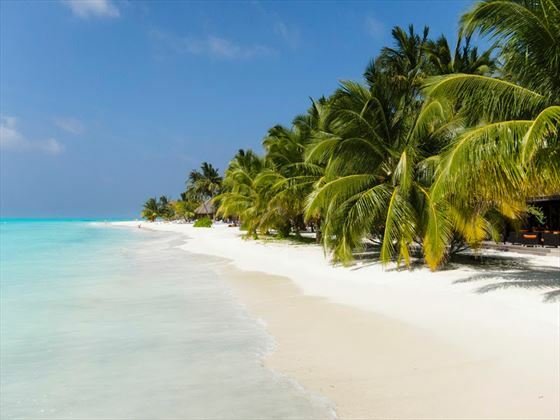 On the South Ari Atoll, this beautiful island is easily reached by sea plane in just 30 minutes giving you excellent value to enjoy the Maldives.